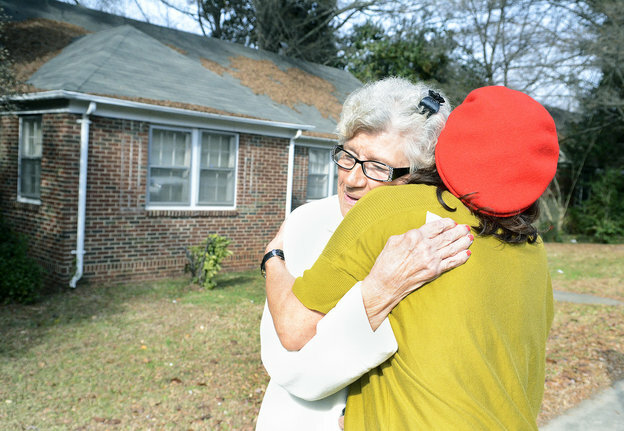 Joyce Newell was waiting for the bus along Eastway Drive in Charlotte when a van load of Secret Santas pulled up handing out hugs and a $100 bill. 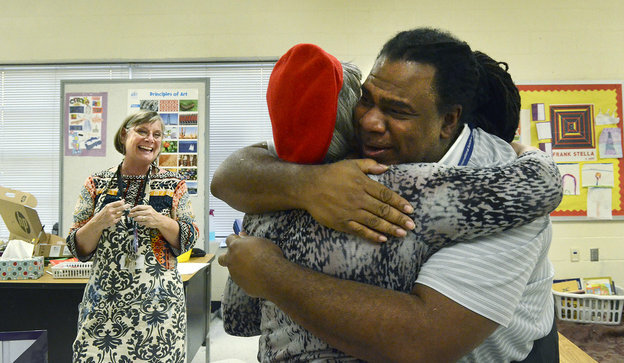 After just receiving a $100 bill Nan Bloom, the Merry Oaks Elementary (Charlotte) art teacher, can't help but smile as fellow teacher, Ronald Monroe, gets a hug and $100 himself. Monroe is the school's music teacher. 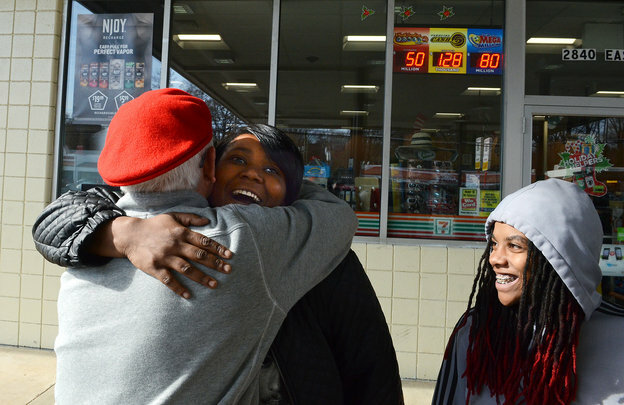 Jazmine Ragin (left), 19 and her friend Shadasia Murray, 18 both got $100 bills from a Secret Santa on Thursday as they stopped at a gas station on Eastway Drive in Charlotte. Sharing at a Phoenix bus stop. Buying delicious cookies from a Phoenix roadside vendor. ﻿This sleigh ride with the Jackson County Sheriff's Department touched the hearts of many as it's had over 36 million views on Facebook alone. It certainly shows the heart of law enforcement. The annual "Secret Santa" cash giveaway has happened again in Charlotte. Anonymous ELFs hand out $100 bills to strangers all over Charlotte - part of the national effort started decades ago by Kansas City, MO, businessman Larry Stewart - in hopes it will inspire them to perform their own random acts of kindness. The ELFs were accompanied by a faithful entourage of CMPD officers, many of whom have been riding along for years. Stops included Merry Oaks elementary, a gas station, and a bus stop on Eastway Drive. ﻿With the help of the Phoenix PD and Tempe PD, the Phoenix Secret Santas enjoyed a day filled with many sounds of happy children and unsuspecting adults as many $100 bills were given away. Ninety 3rd graders were visited at Bolz Elementary in Phoenix, as well as a school for unwed teen moms in Tempe. Copyright 2016 Secret Santa World. All rights reserved.